Keynote speaking delivering one-of-a-kind experiences with multi-media and proprietary content, empowering exceptional levels of personal and professional productivity and effectiveness! Communichology™ is the art and science exploring the often-overlooked and misunderstood relationship between communication (styles and skills) and human psychology that defines tomorrow’s leaders today. Tom’s multimedia presentations challenge audiences at all levels, to begin “seeing things” differently. New perceptions, shiFt perspectives, producing improved communication skills that elevate leadership effectiveness, resulting in inspired productivity individually and collectively. 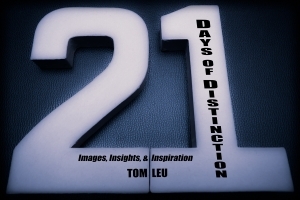 Tom’s core message uncovers the ‘how’ and ‘why’ this dynamic intersection ultimately affects what people do and don’t do, day-to-day, moment-to-moment, thereby affecting their outcomes. Intimately understanding the ways in which these two disciplines interact give people a unique advantage both personally and professionally. It’s social strategy CPR… compelling, provocative, and relevant distinctions and techniques to have a communicational advantage in any setting, with anyone, at any time. *Improved communication affecting improved productivity is not only nice, but necessary in today’s fast-paced, hyper-connected world more than ever before… everyone’s personal and professional growth depend on it. Tom incorporates more than 25 years of professional experience into his speaking engagements working for Fortune 500 companies as an award-winning account manager and sales trainer, college administrator and instructor, TV and radio host, musician and entrepreneur. Tom talks shiFt and encourage peoples to be the best at what they do the best, and to assist building the bridges between passion and purpose, desire and decision, excitement and execution for individuals and groups. 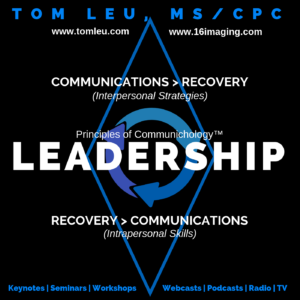 Tom has written hundreds of motivational and inspirational articles on communications, psychology, & leadership for online and print periodicals, published the Musician’s Corner® series of articles, books and audio books, and produces numerous other motivational audio and video programs. Tom’s cogent and sententious style speaks to both youth and adults alike as he draws from his experiences in the music business, as a media personality, teacher, trainer, and as a corporate sales professional. Tom’s cutting edge style and contemporary delivery engage listeners from the start, blending the insights of teacher and the encouragement of a coach, with the energy and excitement of a rock concert. Participants at Tom’s live presentations come away with valuable lessons and insights to apply to their lives immediately. Tom is available for keynote speaking engagements, seminars and emcee appearances at conferences, corporations, retreats, schools, youth groups, institutions, and entertainment-industry events. *Speaking fees vary based upon length of the presentation, location of event and other factors. Typically, business travel and expenses are additional costs above the speaking fee. **Customizable keynotes and breakout sessions are available for your event’s particular requirements. Tom Leu, M.S. is a Member of the National Speakers Association, a Certified Professional Coach (CPC), and Certified Trainer for the Body Language Institute. Tom is also a professional photographer and host of two radio shows that air in Illinois, Florida, and around the world as podcasts. 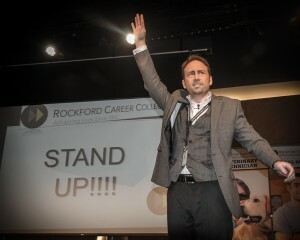 Tom was previously the Academic Dean at Rockford Career College in Rockford, IL, and has also worked as an Account Manager at McGraw-Hill Higher Education. Researching from a social psychological perspective, Tom created a new discipline of study called Communichology™ in which he presents from the unique vantage point where communication skills and human psychology collide. 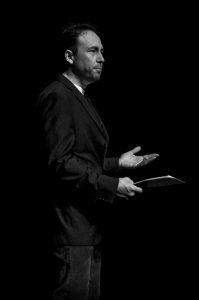 Tom is a sought-after speaker on topics pertaining to advanced communications skills, leadership, the new body language, emotional and social intelligences, persuasion and influence. Tom’s professional career includes over two decades of experience as a college administrator & instructor, keynote speaker, corporate trainer & seminar leader, radio & television host, author, & photographer. 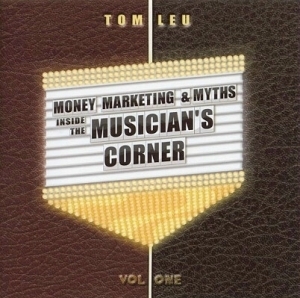 The MUSICIAN'S CORNER®: Tom's 77 minute Audio Book of Marketing & Promotions Strategies for Musicians. Psychology for SuccessInMusic!